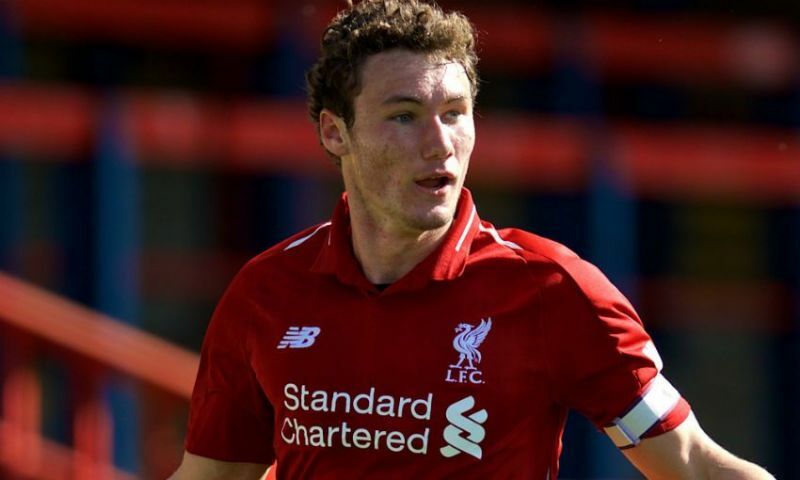 Matty Virtue made an appearance in Liverpool’s first team training session on Tuesday after missing the entire festive period through injury. The U23s midfielder has been sidelined with ankle ligament damage since hobbling off late on in November’s 3-1 win over Leicester City, in which he had opened the scoring. His spell out of action marked an untimely blow for Neil Critchley as he lost his captain and top scorer ahead of a key period in the season. Liverpool’s second-string outfit have since recorded three victories, five draws and one defeat across all formats, with the latter coming in the form of a 7-0 hammering at home to Villarreal in the International Cup. The 21-year-old has now been captured among the club’s senior players at Melwood by Liverpoolfc.com’s training photographs. Virtue had started every league game for the Reds prior to his injury, finding the net six times in seven games to assert himself as a key influence. This followed up his loan stint with Notts County over the second half of last season, which saw him make 15 appearances across all competitions to help the Magpies seal a fifth-placed finish and a spot in the League 2 play-offs. Another temporary move could yet be on the cards for the Englishman before the end of the month.